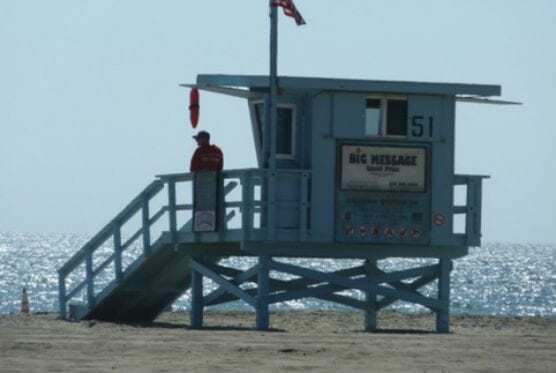 Because of the recent rainfall, Los Angeles County Health Officer Muntu Davis, MD, MPH, is cautioning residents planning to visit county beaches to avoid swimming, surfing and playing in ocean waters around discharging storm drains, creeks and rivers. The advisory will be in effect until at least Wednesday, Feb. 13 at 2:30 p.m. and may be extended depending on further rainfall. Bacteria, chemicals, debris, trash, and other public health hazards from city streets and mountain areas are likely to contaminate ocean waters at and around these outlets after a rainfall. Individuals who enter the water in these areas could become ill.
Discharging storm drains, creeks, and rivers only comprise a small portion of the beach; therefore, anybody who wants to go to other areas at the beach can still enjoy their beach outing. Areas of the beach apart from discharging storm drains, creeks, and rivers are exempted from this advisory. Recorded information on beach conditions is available 24 hours a day on the county’s beach closure hotline at 1-800-525-5662. Information is also available online at PublicHealth.LACounty.gov/Beach/.